Home/GJG, Tree Plantings in Victoria/Helping rare plants thrive. Di and Brad Stanbrook from G. J. Gardner Homes Mildura are a generous supporters of local community groups and their tree planting projects. This year, the Mildura team purchased 675 trees for Red Cliffs and Districts Community Landcare. 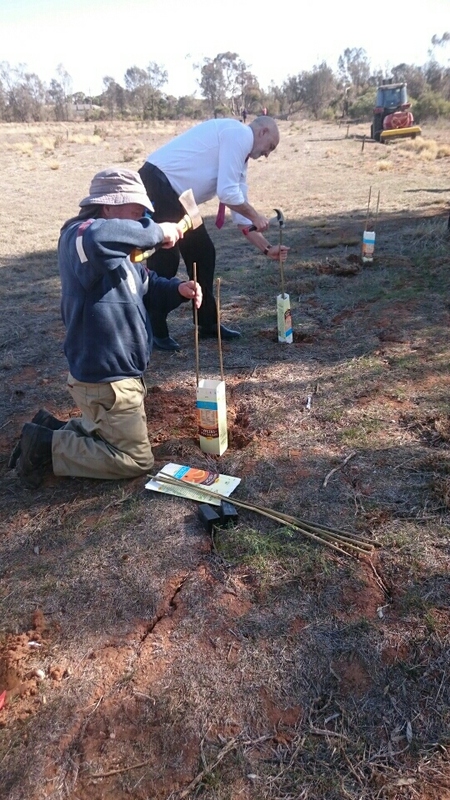 The trees were planted at 2 sites: Calder Highway roadside reserve and Mildura Golf Club. 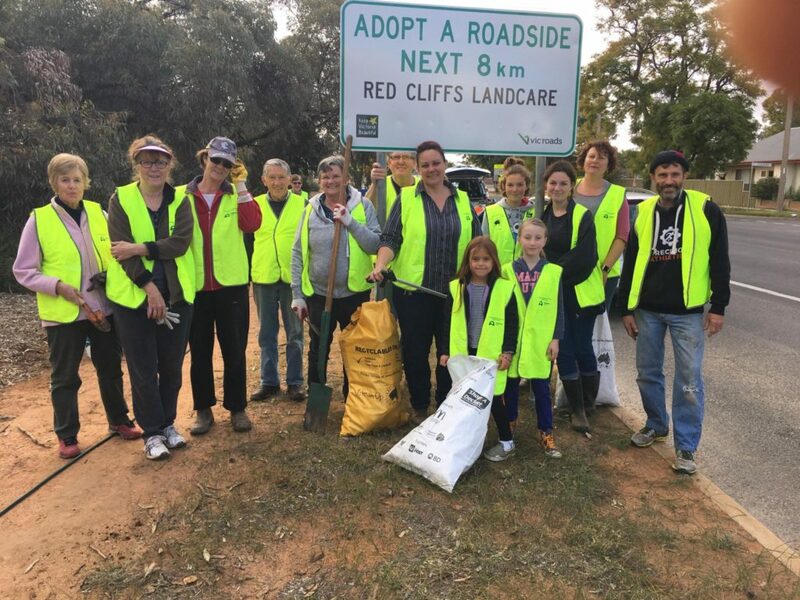 The Landcare group in the Mallee district of Victoria is run by Tina Grasser and her team of volunteers. Tina was very appreciative of the trees received from Di and Brad for their tree planting projects. They distributed the trees between a roadside reserve along the Calder Highway and the Mildura Golf Club. At both sites, the Landcare group are aiming to improve the native vegetation and biodiversity and encourage native wildlife back into the area. We aim to rectify and enhance the area that continues from Red Cliffs, through to Sunny Cliffs towards Mildura. It is a high usage area and the gateway to Mildura. Before we started planting we picked up rubbish and eliminated the weeds. This area has rare plants growing in it but they are being choked out by the weeds. By planting native trees near these rare plants, it will give them some protection and help them thrive. Thank you to Di, Brad and Tina for getting together to plant some of these trees. Of course, thank you also to all the volunteers who went out and planted and thank you to those at Mildura Native Nursery who propagated the seedlings from locally collected seeds.